Acupuncture Clothing are offering an amazing competition for all you illustrators, designers and artists out there for the chance to design their T-shirts and shoes with first prize winning £500 plus a free gift of a product where your artwork is used and runners up winning £200 plus a free gift of a product where your artwork is used. "As a brand from London, we love to connect with artists, musicians and designers practicing their talents in the UK and London. This year we would like to invite artists to submit artwork that could be used on t-shirts and shoes Theme: The essence of London: What is the spirit, character and feeling that London as a city evokes? We would like to know from artists what London means to them through their art. 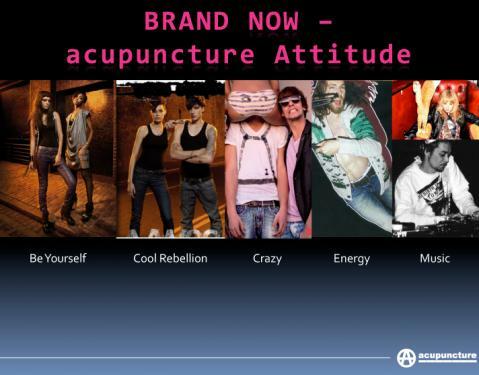 We certainly feel that the attitude of Acupuncture (Be Yourself, Cool Rebellion, Crazy, Energy, Music) are also rooted in London, is it the same for you?" Artwork can be tailored for use on a t-shirt or shoe or both. Theme: The essence of London: What is the spirit, character and feeling that London as a city evokes? We would like to know from artists what London means to them through their art. 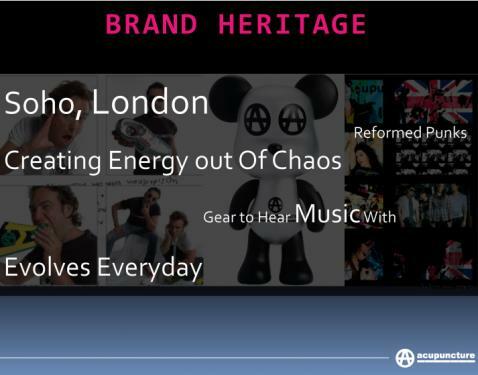 We certainly feel that the attitude of Acupuncture (Be Yourself, Cool Rebellion, Crazy, Energy, Music) are also rooted in London, is it the same for you?" Ideal artwork will be easily replicated onto the product. Typically artwork can be printed, stitched or sewn onto product. Other applications are also possible such as flocking, sequins, and other embellishments. Include the 'Circle A' logo and/or acupuncture name in the artwork. Acupuncture reserves the right to use or edit the artwork if necessary to fit to product, with the artists consent where possible. Acupuncture reserve the right to exclusivity on winning designs until February 2011 after which your work may be licensed freely at your discretion. Please contact info@lazygramophone.com for further details on this section. 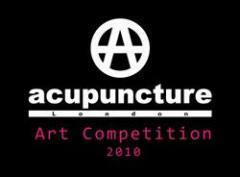 Submit entries to acupuncture@lazygramophone.com along with your name and a contact telephone number. Closing date 15th August 6pm. Winners will be contacted by Acupuncture and announced on www.lazygramophone.com. t-shirt and shoe templates can be downloaded here. Acupuncture logo variations can be downloaded here. 1st prize £500 Plus free gift of product where artwork is used. 2 Runners Up £200 Plus free gift of product where artwork is used. Tags for this post: Acupuncture clothing, design competition, tshirts, shoes.